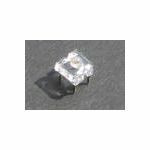 High Flux or Super Flux Leds are small rectangular pieces with a 3mm or 5mm Dome on top.These Leds have four legs, Two Anode and two Cathode. You have the option of powering just one anode, in high stress environments it is advisable to power both. 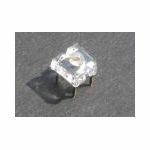 Super Flux leds have a wife viewing angle, they are commonly used in the automotive industry in tail lights or turn signals.